Record the amazing moment of sports livestreaming with ease. Sports lovers are always curious to stay connected to live matches to watch their favorite team performing in the field. They want all updates and latest news about sports results on the go. Being a part of the technology-rich world, you can now enjoy all such facilities on your handy smartphone screen with ease. The latest sports streaming apps allow them to watch videos as well from any corner of the world at any time. 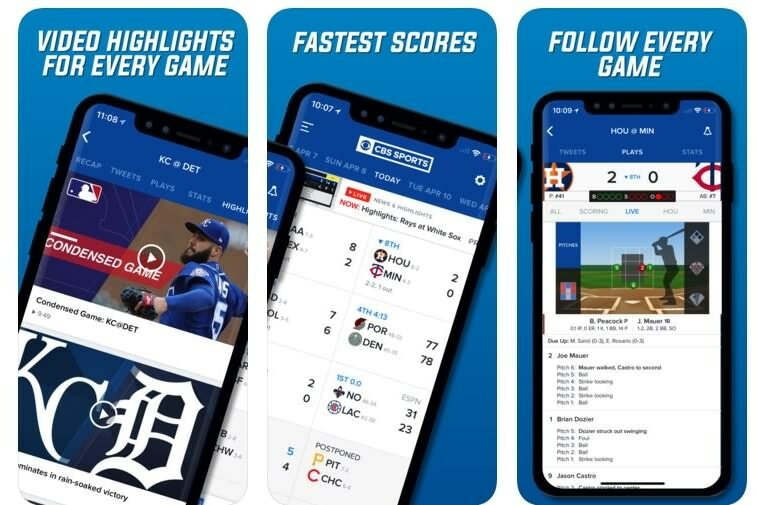 However, the market is loaded with unlimited sports streaming apps; it is good to download the best one on your device to avail instant information about the performance of your favorite team. If you want to record some amazing moments of the sport game and create a funny or memorable video, we recommend you try Filmora9. You can record from your PC, webcam and voiceover. After recording, you can also edit videos by adding text, titles and transitions. Just download it to have a try! Mobdro is a fantastic online app that is available for free. It is widely used for video streaming needs and it allows users to initiate easy search for their favourite videos over internet. This application is compatible with Mac, Windows and Android operating systems. Here you will be able to get lots of interesting features like bookmarking etc. That means one can bookmark his favourite video content to get tune back easily after hours or days. 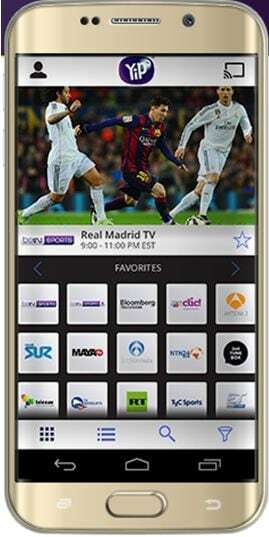 The Mobdro TV free sport possesses massive database that can save huge amount of videos. It posses lots of content related to Tennis, Basketball, Soccer, Football and many other news highlights related to sports world. You can also avail details via live notifications, highlights, videos, standings and tournament brackets. All these interesting things are available at one place on a user friendly platform. With this application, you can watch every goal right within five minutes when it happens on ground. Notifications can be customized and you can bring all your favourite sports channels on one place on 365 scores. It is well known for its fixtures and live tables whereas football news is updated with worldwide coverage. If you want to make yourself free from those troubles created by cable companies but never wish to compromise for your sports content then YipTV is best option for you. It offers attractive freemium type subscription model with so many unique live channels. This platform is growing day by day and currently it is offering more than 100 live TV channels that cover sports to entertainment to news. So, it has something unique to offer for every kind of viewer. Some of the most popular highlights include EuroNews, Bloomberg, Flight Network, BelN Sports and many more. Price: Free to use. It has price plan monthly subscription: $14.99; Annual subscription: $49.99. 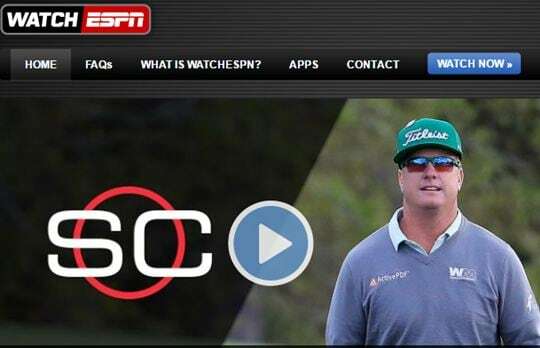 ESPN is well known as superstar in the world of sports broadcasting. This company is currently offering leading services as a sports broadcaster. At an average they are serving about 100 million viewers in US per month and the range is increasing with each passing day. It has many stable c6hannels like ESPN, ESPN2, and ESPN Classic. All stay active 24 hours and they offer effective detailing about wide variety of sports events, news and other analytics. 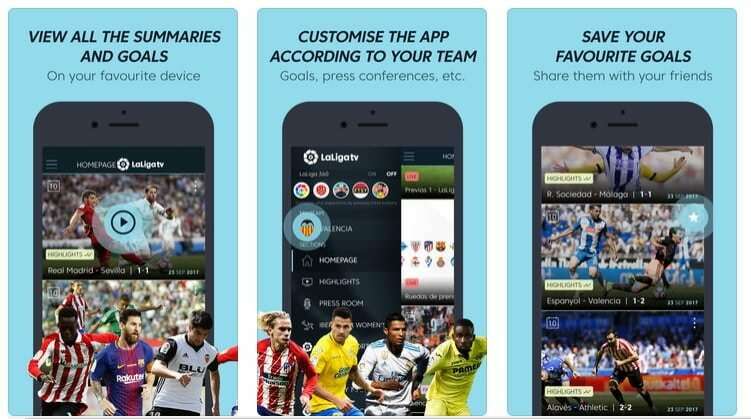 This mobile app allows users to gain access to live streaming of all women’s football matches. As the name represents, this app provides instant updates about news, scores and La Liga updates. 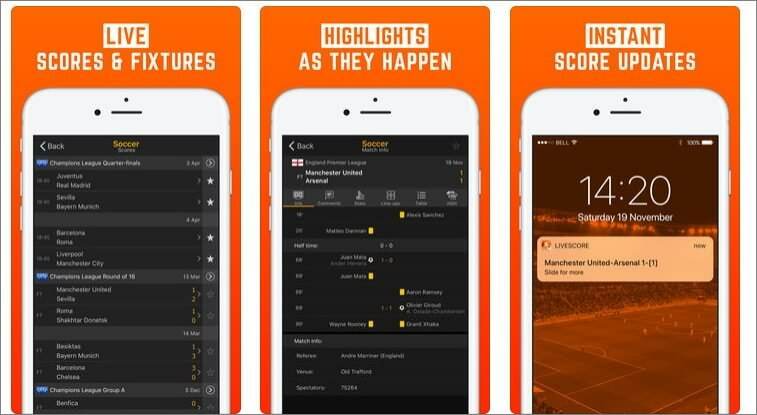 It works perfectly on iOS and Android platforms while providing easy access to the premium season of matches. You can receive instant updates about matches and performance of your favorite team in different sports events. Same as YouTube, this app also posses a Watch Video Later section that allows users to access some interesting videos anytime. This app is available for free and needs very less memory space on your device. Here is one highly interactive software application for sports lovers that offers rich quality content with wide support to popular games. There are so many addons available for this environment and they can be easily marked as favourites. It allows users to play high quality video as well as audio content with effective synchronization. You can access fast responses for live games over it and notifications will keep you up to date every moment. With this app, you can enjoy video streaming for live matches including Tennis, Cricket, Rugby, and Football. Even beginners can access its user-friendly interface with ease and can catch instant live streams from any club match. 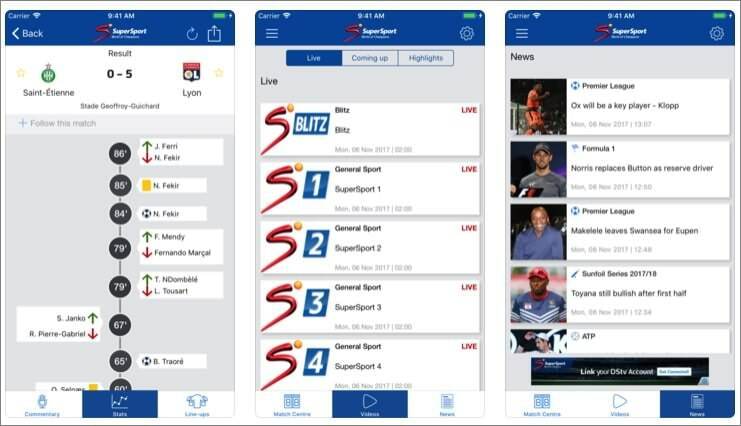 You will be happy to know that SuperSport also provides access to live commentary, group chats and match chats online. In case if due to busy schedule you miss the live match; this app can help you to get all highlights in video form when a match is over. Users can also follow their favorite team on this app and get instant updates about its matches. It also provides notifications as a reminder for upcoming matches with their date and time details. Price: Totally free to use. 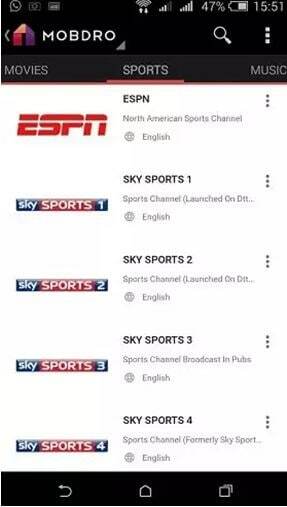 Here is an advanced sports streaming app that is available for free on iOS and Android as well. Users are able to enjoy live streaming matches while accessing the latest information about all sports events worldwide. As soon as you download and sign up to this app; chose your favorite sports club and this app will start providing instant notifications about all scores, team lineups and statistics time to time. It allows users to follow at least 8 games at a time and that too even on one screen. You can also adjust the appearance of this app with custom navigation link and rank the sports that you love the most. Price: Free to use for everyone. 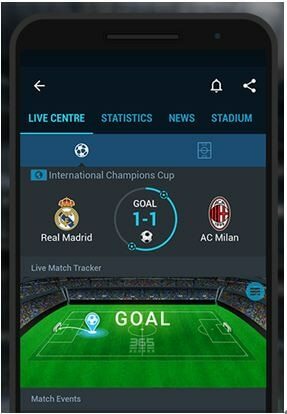 This free application can provide you all details about your favorite teams and keep on flashing information when you are not able to watch live match. It also allows users to follow live text-based commentaries for matches while getting all essential updates side by side. FlashScore provides easy access to 5000 competitions and 30 different types of sports. It also keeps on reminding you about match timings with instant notifications. 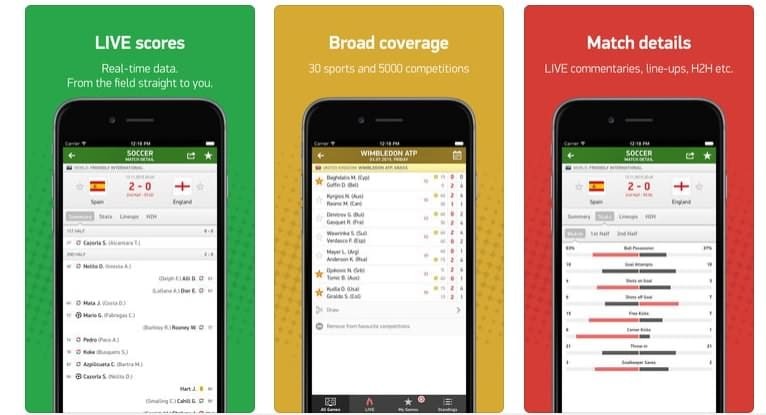 No matter which sports event you want to track from any far corner of the world; the LiveScore app can provide you instant access to all details. This app is being used widely on Android platforms as well as for iOS devices as it provides direct access to top games like cricket, ice hockey, basketball, tennis and many more. Users rate it high for the interactive interface and ability to work perfectly even when an internet connection is slow. It consumes lesser data while ensuring fast and responsive detailing. Sports lovers can also access instant details about live scores from different leagues and competitions. But in order to use this app, users must have Android OS 2.0.1 or higher version on their handset, and if you want to watch sport livestreaming with this app on your iPhone or iPad, your iOS need to be iOS 8 or later. AS a sports lover, it is good to get some streaming application for your device that can help you to explore so many videos without any trouble. There are so many tools available online and most of these are accessible for watching sports streaming. Let's know in the comments which apps you are using to watch the sports livestreaming. If you want to make a video about the Football match and share it on YouTube. 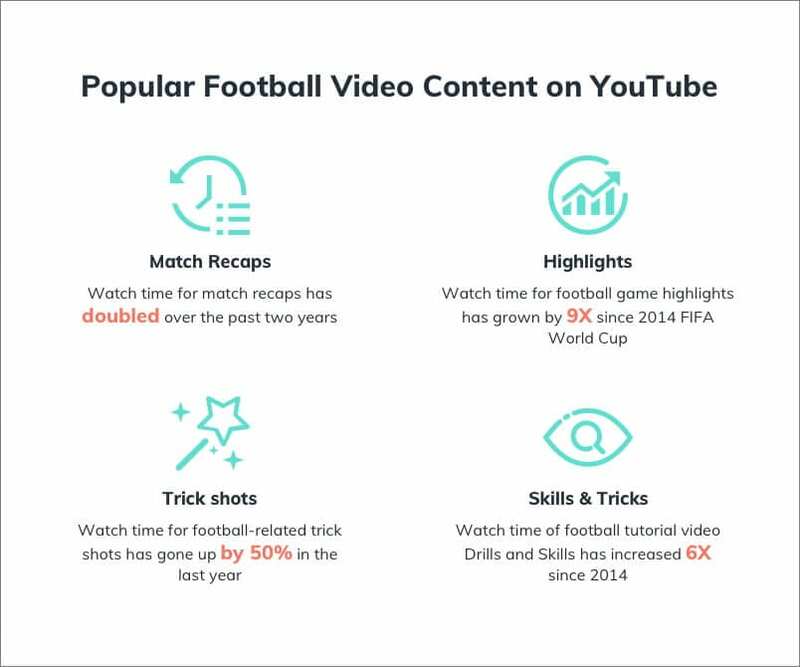 Based on our research and Top Insights into Football videos on YouTube, you can choose to make some popular football video content on YouTube, such as match recaps, highlights, trick shots and skills and tricks. To make and edit a video as a beginner, I highly recommend using Wondershare Filmora9. The video below will show you more features of Filmora9. Download it and have a try. Enjoy! vMix VS Wirecast which is the best professional live streaming software? Live Streaming Software Vs Hardware: Which is Better?